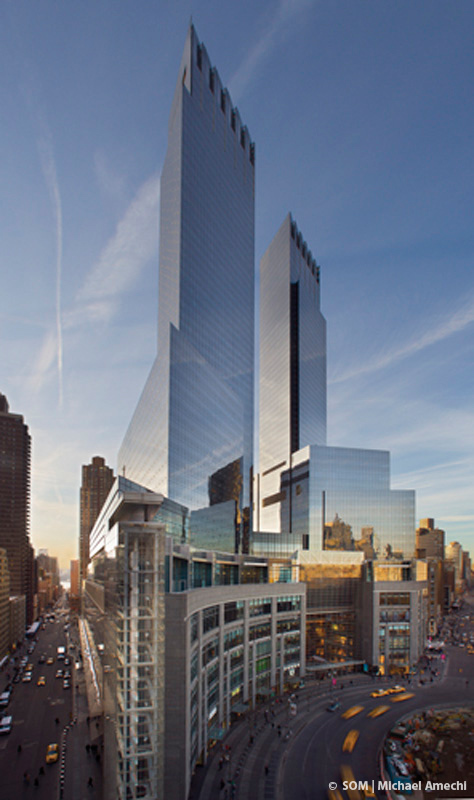 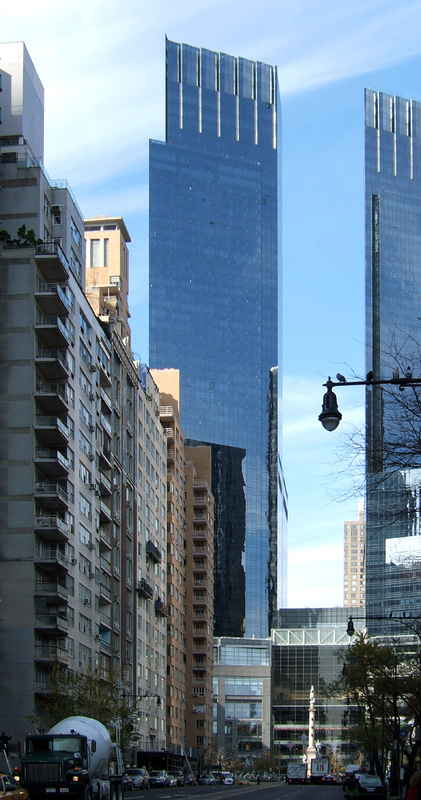 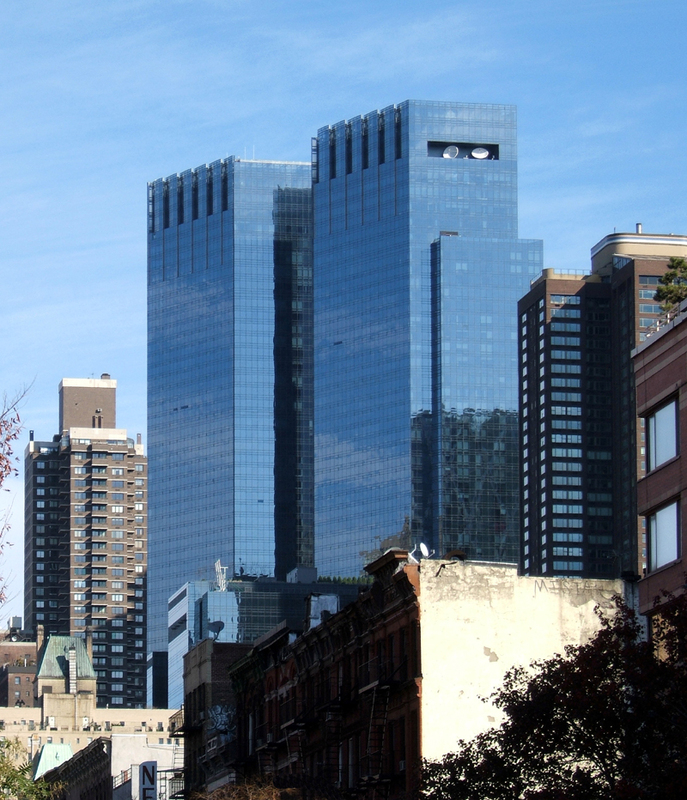 Time Warner Center is located at the southwest corner of Central Park. 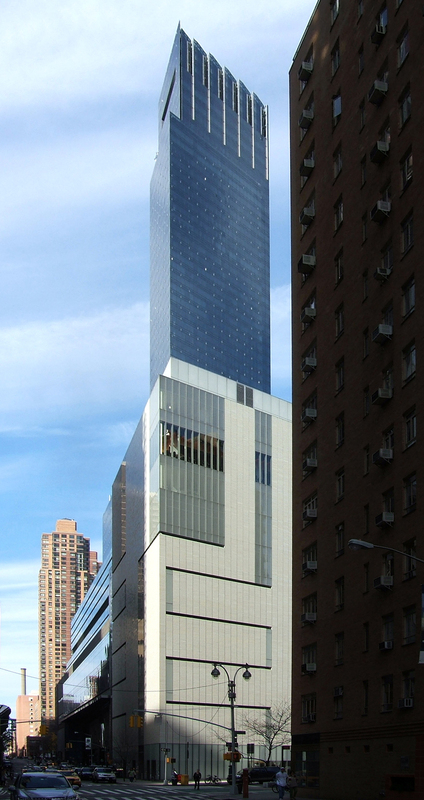 The building is divided between offices, residential condominiums, two hotels, performance venues and the retail stores. 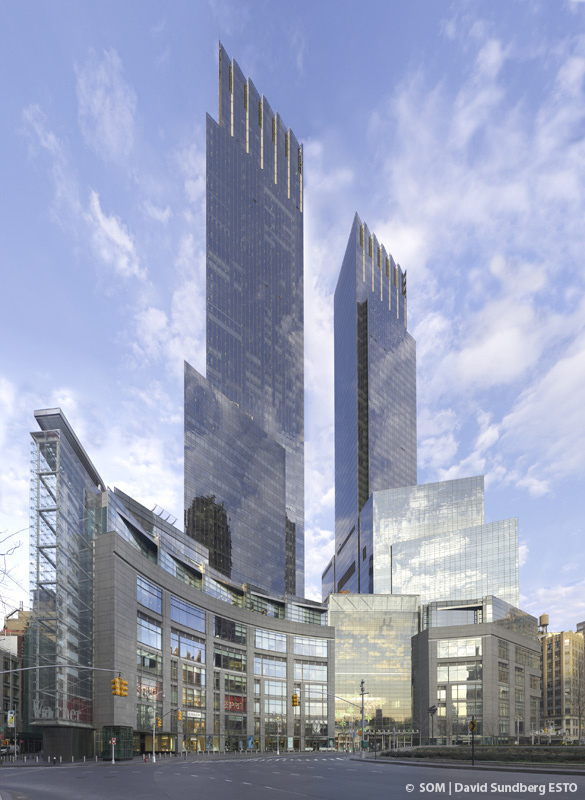 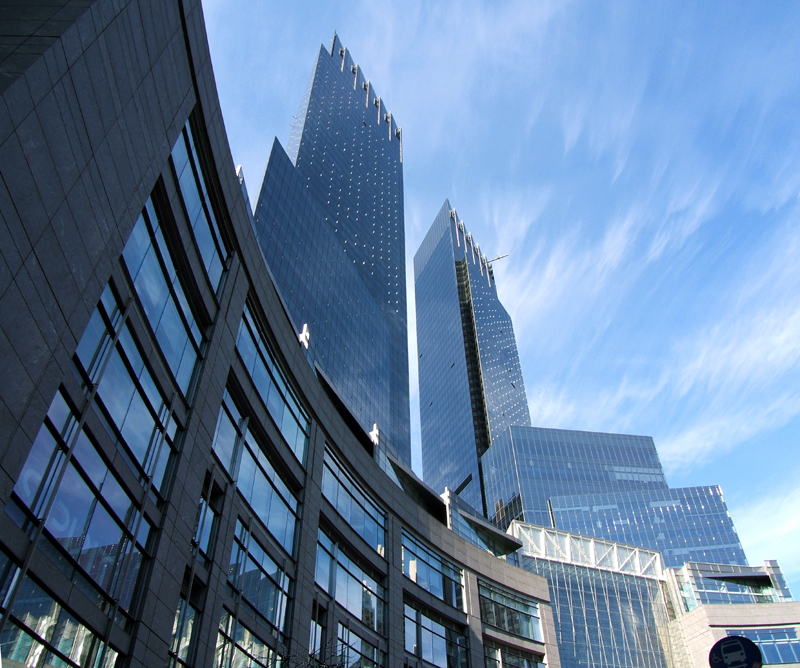 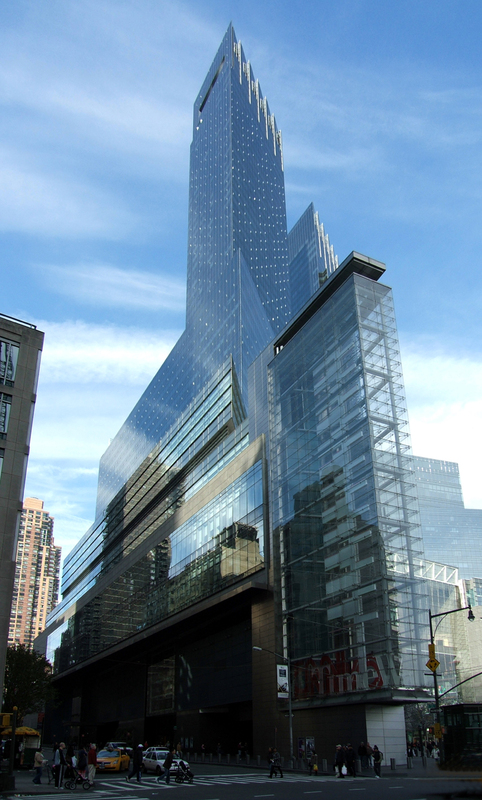 The base of building is designed to reflect the curve of the Columbus Circle and has two twin towers bridged by a multi-story atrium containing upscale retail shops. 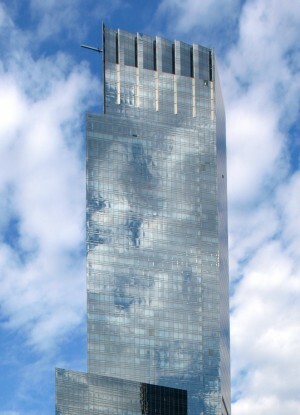 The multi-story atrium has a cable-net spanning 30 meters across and 50 meters tall making it the largest cable structure in North America.